The top places you should visit in Bangkok! Normally I can fall in love with a city quickly. But here in in this city I will need some time. When you come from a tiny island like Koh Lipe and a smaller city like Ayutthaya this metropolis is like a shock. I´ve been to many big citys all over the world but here it is very special. Yesterday we organized our VISA for Myanmar so today we had the time to go out for some some sightseeing. We had close to 40 degrees and every step in the city jungle was hard. We traveld by MRT, Skytrain and of course with Tuk Tuks. You can´t visit Thailand without using one. First we went to Wat Saket (golden mountain). The temple dates back to the Ayutthaya era, when it was known as Wat Sakae. When the biggest city of the country became the capital, King Rama I renovated the temple and gave it its present name. It is one of the oldest Buddhist temples in Thailands capital. From there we walked over to Wat Pra Kaeo. 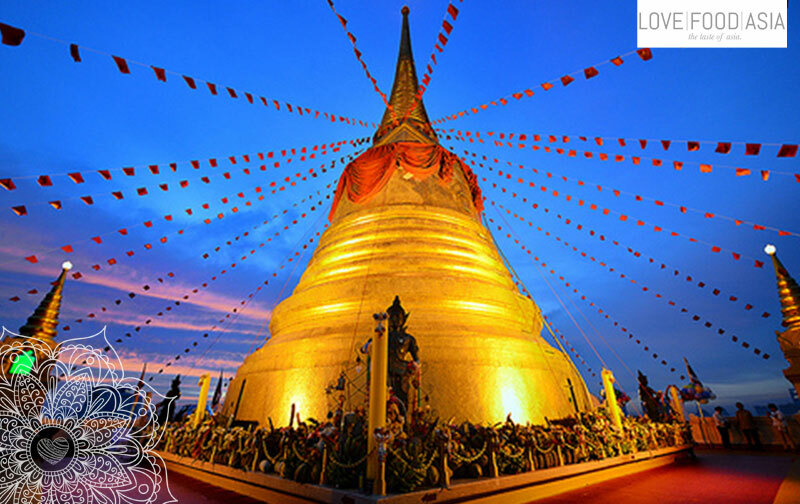 It is regarded as the most sacred Buddhist temple in Thailand. It is located in Phra Nakhon District, the historic centre of Bangkok, within the precincts of the Grand Palace. And finally we´ve been to the Wat Pho. It is one of the oldest temples in the city. It existed before Bangkok was established as the capital by King Rama I. The temple complex houses the largest collection of Buddha images in Thailand, including a 46 m long reclining Buddha. An impressive view. Tomorrow we have our Air Asia flight to Yangon, Myanmar. I can´t wait to get there.